These visuals represent the interactions among the blogging community. 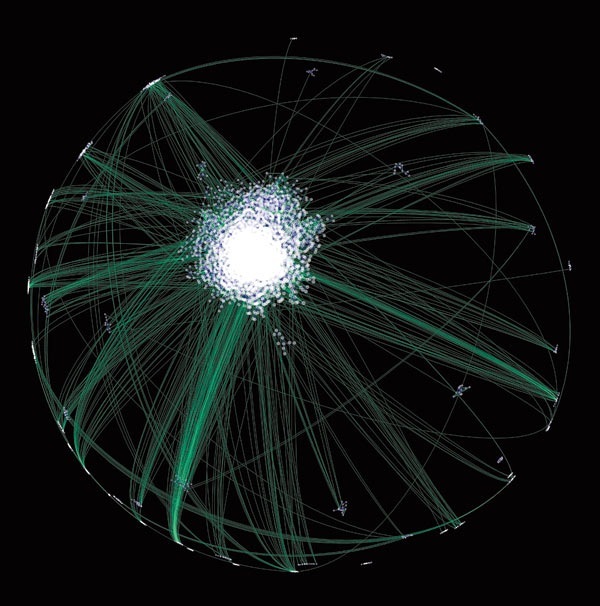 The dense core at the center of the left figure represents those few thousand blogs that get the maximum link love. The visualization on the right is even more interesting. 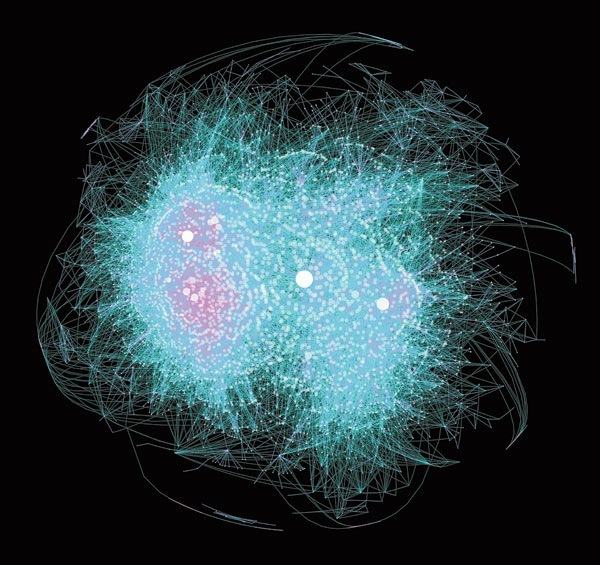 You can divide that core into two regions – political blogs (in pink) and technology / gadget blogs. The pink lines represent reciprocal links or blogs linking to each each. The researcher notes an apparent difference in culture between the tech and political blogs – the pink lines are much denser among the political blogs than they are among blogs focused on technology. Credits: Technology Review, Matthew Hurst – Thanks Mrinal.